Nicely Gift Wrapped 250 gms. (Gross Weight) Kaju Pista Roll from Haldiram with Free Rakhi, Roli Tilak and Chawal. Nicely Gift Wrapped 500 gms. (Gross Weight) Kaju Pista Roll from Haldiram with Free Rakhi, Roli Tilak and Chawal. Nicely Gift Wrapped 1Kg. 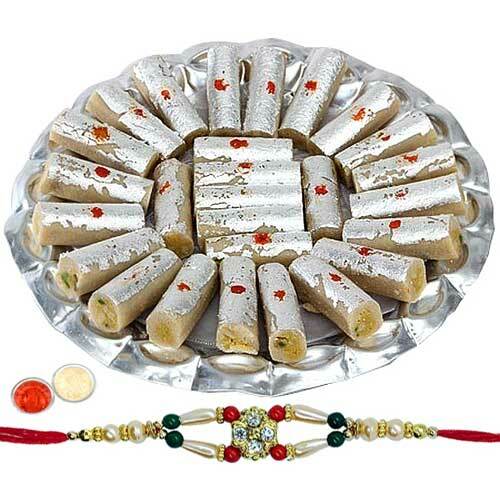 (Gross Weight) Kaju Pista Roll from Haldiram with Free Rakhi, Roli Tilak and Chawal.